Tag Archives for " Place search "
Last week Google reshuffled/revealed its local search strategy by introducing something called Place Search. Place search eliminates the local search 7 box and blends local and organic results in a way that clearly demonstrates how important local search is to them – and consequently to your local small business. One thing that’s certain from this new look is that you must claim, optimize, amplify, and participate on your Google Places Page. If you thought this was a nice thing you would get around to someday, stop right now and go get this in the works. 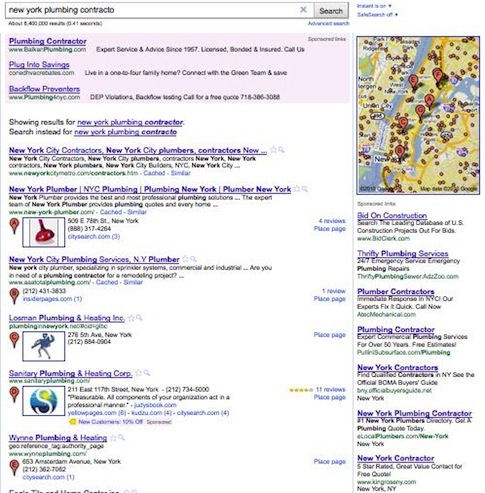 It will be very hard for a business to rank well for local search lacking a dynamic Google Places Page. 1) Add images, video and product/service descriptions to your page. Add custom fields to get more relevant content. Spend time getting the right Places categories. 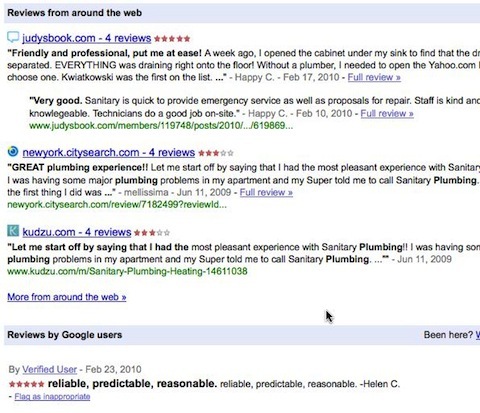 3) Get involved in the ratings game – on Google, Yelp, CitySearch, InsiderPages – reviews on your Google Places page and from other major review sites are a key ingredient for higher local ranking and have become an expectation from shoppers.